Thanks to all the side that made Foxs' 2015 Wassail the biggest and most successful yet! Details about next year's will be put together in late 2015. Wassail (Old English wæs hæl, literally 'be you healthy') refers both to the salute 'Waes Hail' and to the drink of wassail, a hot mulled cider traditionally drunk as an integral part of wassailing, an ancient English drinking ritual intended to ensure a good cider apple harvest the following year. This ancient ritual is something that has a history in the Border counties, with the local area being particularly conducive towards apple-growing and therefore, cider-brewing. 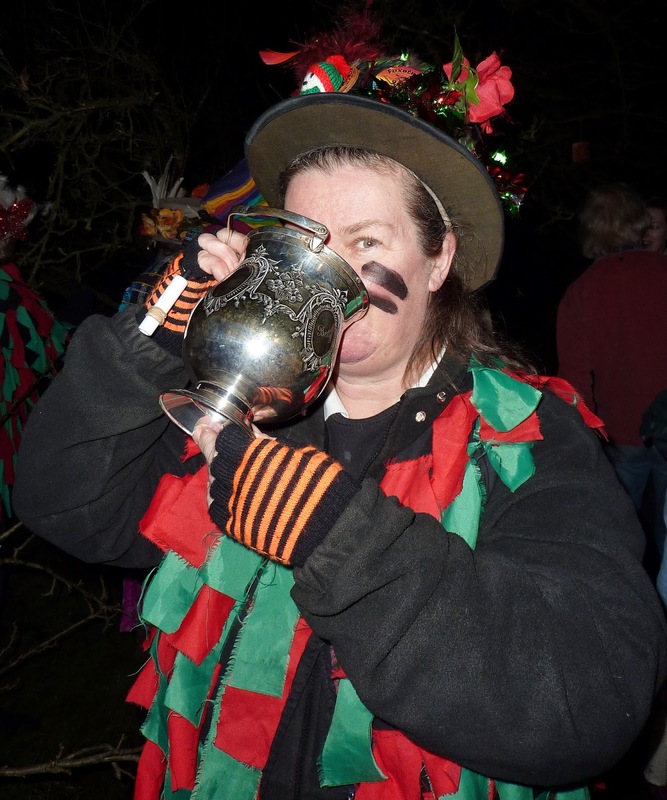 Though not always possible, Foxs have been proud to host their own Wassail celebrations in Cookley village and the surrounding area in recent years. 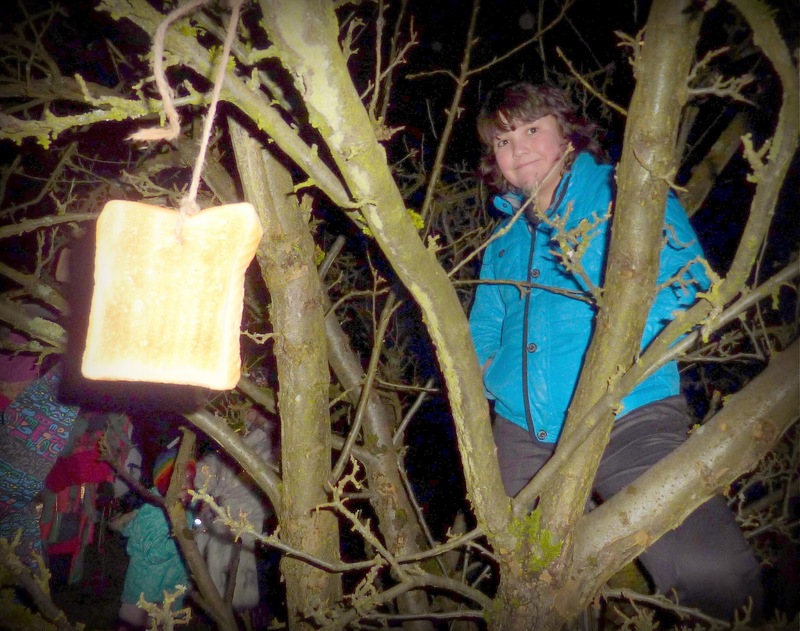 Foxs' Wassail celebrations involve the side's interpretation of some Wassailing customs; drinking mulled cider, processing between Orchards, placing toasted bread soaked in Wassail drink up into trees as a gift, making loud noises to scare off the evil spirits etc. These are all done in good humour and enjoyed by the participants and audience alike. Foxs Wassails generally take place on the first or second weekend of January. 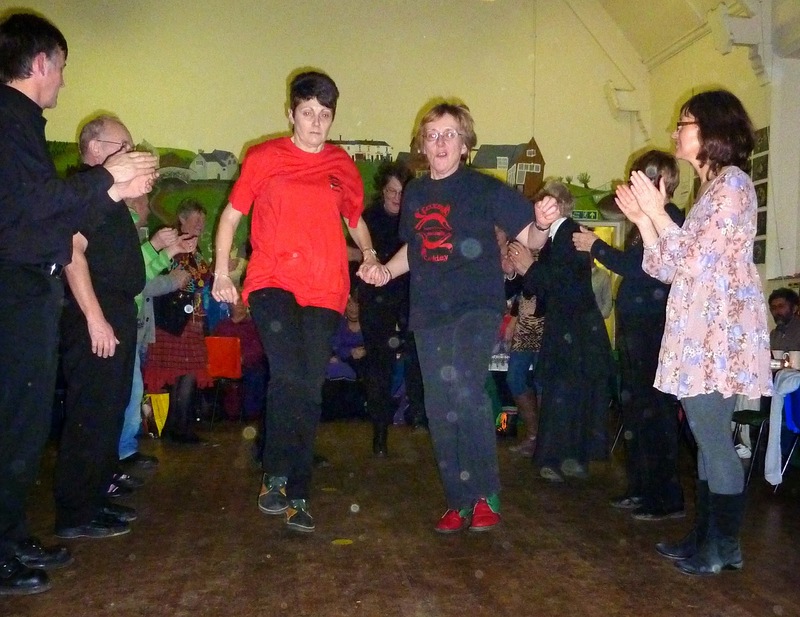 From early evening, several dance sides dance in the village of Caunsall (the next village along from Cookley). Local residents and visitors from further afield come to watch the proceedings. The throng then makes its way into a local family's small orchard, to drink from the Wassail cup, to bless the trees, make offerings and a racket. 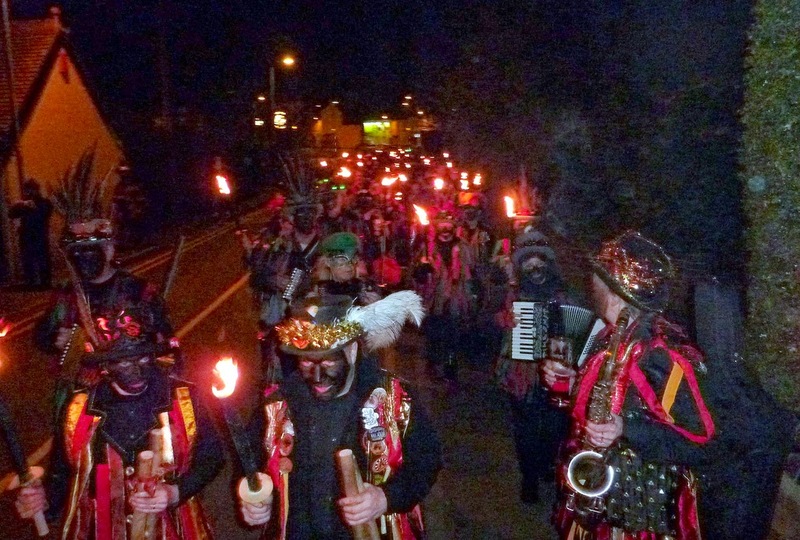 After more dancing outside the Eagle and Spur in Cookley, a torchlit procession makes its way up through the village to another family's apple trees for more 'Wassailing'. This is quite a sight; like a giant angry mob of Morris dancers and friends! Following the dancing, processing and wassailing, the invited sides get some food from the local eateries (Fish & Chip shop or Curry House both highly recommended) and then spend the remainder of the evening at Cookley Primary School. 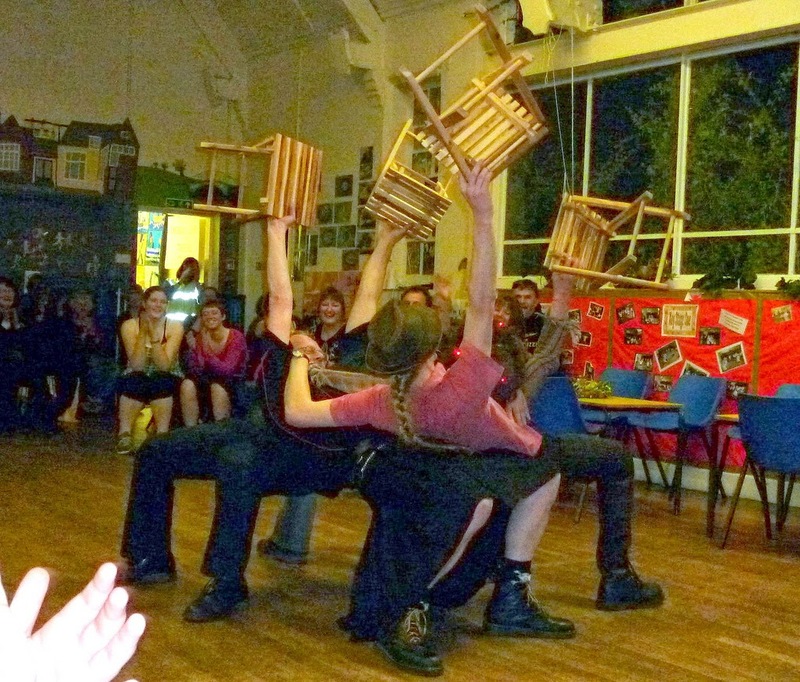 Usually the entertainment is a combination of Social dancing and other 'acts' (perhaps a Mummers play even! ), which always go down well. After breakfast, Sunday morning consists of a dance workshop; typically each side will perform and then teach a dance. When organised enough, Foxs try to video the demonstrations so that sides can refer back to them in the future. 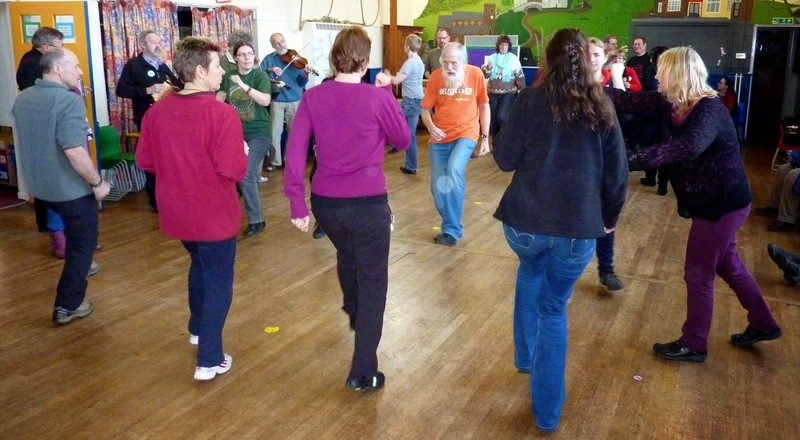 The workshop goes on until around midday and is an excellent opportunity to add more dances to sides' repertoires for the upcoming year. If you would be interested in coming along to our next Wassail, check out our Calendar page for the dates. Invited sides will be approached sometime between September and November, but all of Saturday evening's festivities around the villages are free of charge and open to all. 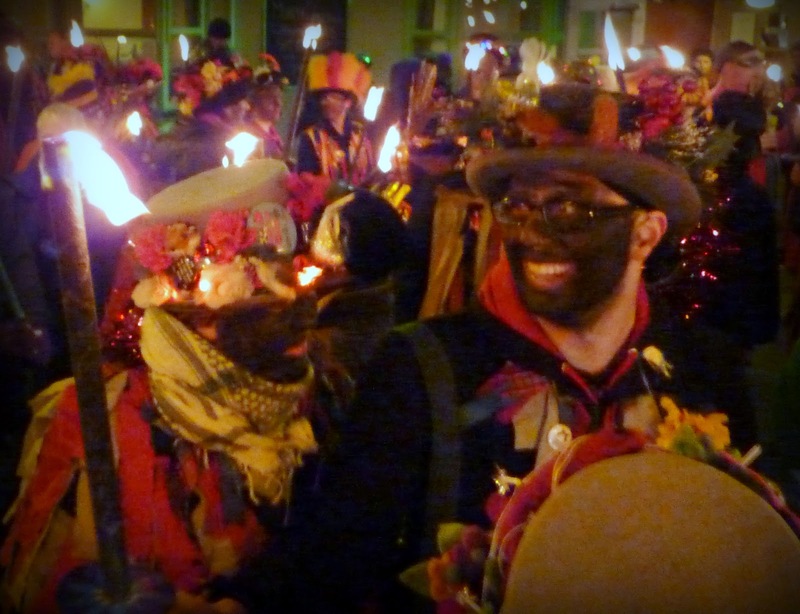 Many people return year after year for the Wassail and always have a wonderful time.